Flickering lights, windows that don’t work, and a dead battery. No one likes it when their car has electrical problems. Whether your headlights are dim or your car won’t start, we can help. Bring it to Wayne’s Auto Repair for reliable and affordable auto electric repair in Westerville, OH. Don’t let your vehicle’s wiring problems cause you to blow a fuse. Depend on our ASE-certified and experienced mechanics to keep the current coming. If your car has a loose connection or a blown fuse, it could cause any number of problems. The frustrating part for you is that the source of the issue is often elusive. Fortunately, because we have state-of-the-art diagnostic tools and the right experience, we accurately locate the problem and fix it. From minor to major repairs, the technicians at our auto shop fix your car’s electrical problems so it is up and running again. 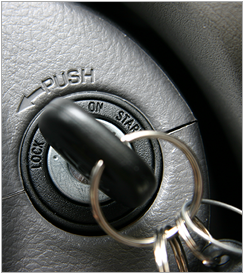 If you hear “click, click, click” when you turn your key; the problem may be your starter. If your lights are working, but your engine won’t turn over, it could be a bad starter. After testing the starter, the battery, the alternator, and other ignition components, we’ll determine if your car requires auto starter repair or replacement. We will ensure you have a reliable car the next time you turn the ignition. Give your battery the power it needs to start your car and run all the electrical components. If your headlights are dim and your electrical systems are acting up, chances are you could need a new battery. Depend on our auto shop for new and affordable car batteries. After all, the last thing you want is a dead car battery. Unfortunately, it happens when you least expect it -- and then you’re stuck. We’ll determine the right battery for your car and install it at an affordable price. If your battery is relatively new, but it is already dead, the problem could relate to your alternator. When a car engine runs, it powers the alternator and that charges the battery. When it’s not working properly, your battery starts to lose its “juice.” Allow us to test your alternator to see if it has problems. Contact us to schedule diagnostic testing if your car or truck is having electrical problems. We serve vehicle owners from Westerville, Columbus, Worthington, Gahanna, and New Albany, Ohio, as well as the surrounding areas.